These last few months have been very creative, I made it my mission last year to have a ‘Homemade Christmas’ this year and it turned out quite well. 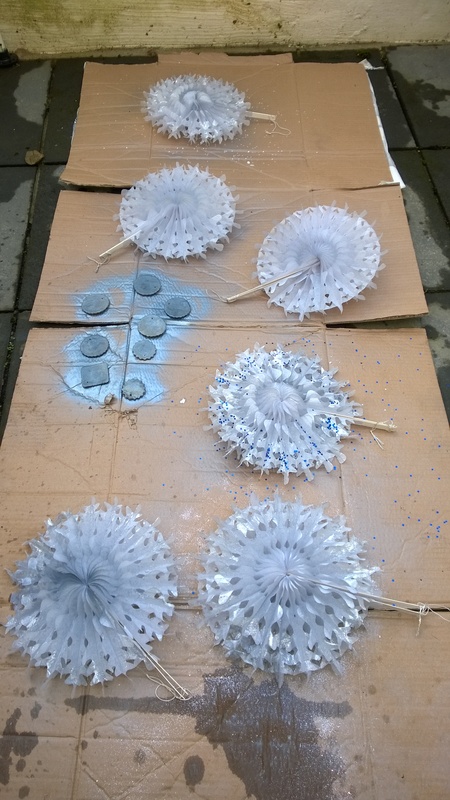 We started off in November, Lilwen and I made large paper snowflakes, spray painted them silver and glued all manor of glitters to them ready to hang in the house. Today I was an exam invigilator in my local secondary school. It was GCSE mock English Language in the school gym. Now, as a supply teacher I have worked in quite a few schools and seen a varied selection of funded and private schools. This aside, today’s school felt like it was stuck in the dark ages! I have taught there before and was quite shocked to have a ‘blackboard’ or if you’re offended by that language ‘chalkboard’, in one of the rooms I was teaching in! I think that in my 9 years teaching I have never been to a school with a blackboard in! Back to the gym, it was like I had walked back 30 years, the walls were covered in the dark round, wooden slatted climbing walls spanning the entire length of the room. The ceiling had huge metal hooks hanging down with the really thick climbing ropes draped over the top of the climbing slats. 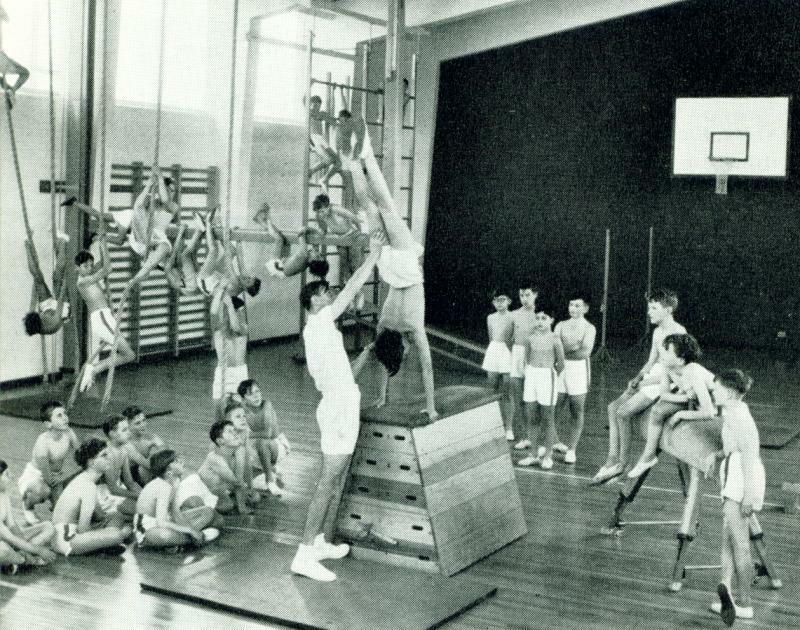 At the end of the room were the obligatory PE equipment, the pummel horse and vaulting box, you know the one you had to take apart to lower and the old springboard, all of which looked pretty original to me! The best thing that was there was the balance beams suspended from the ceiling with a collection of cables and ropes, that you had to lower and use metal poles and wooden wedges to keep still. The walls were even painted blue with the speckled paint effect splattered all over it! It was brilliant, albeit a bit cold as there wasn’t much exercise going on! It was just like this photo I found…..so many memories, yet I do feel, it was rather dated and in need of a lot of tlc, but at least it kept my mind occupied thinking of what to write for this blog instead of the boring 2 hr exam that was going on. Fun times, but at least I got paid for it!